You probably think you’ve heard all the reasons you should exercise. You’ll feel better, look better and have more energy. Exercise can help fight heart disease, hypertension, diabetes and obesity, among other health conditions. You might even live longer. 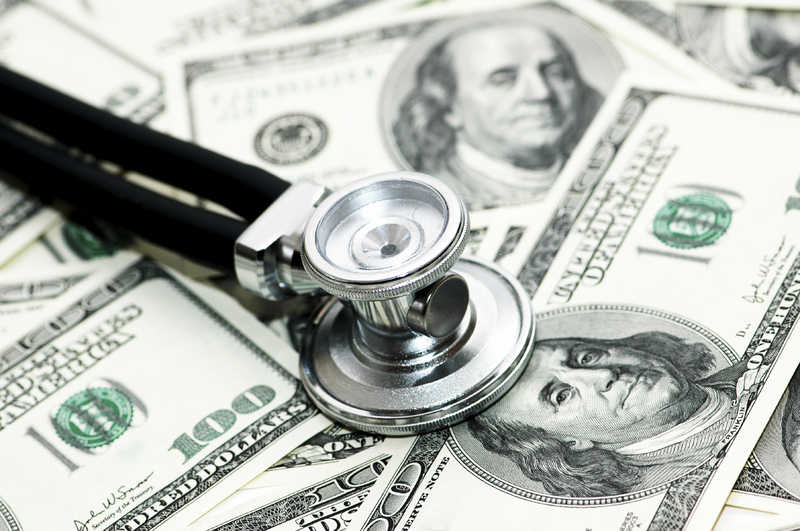 But if all that isn’t enough, a new study shows it could help reduce your medicals bills, too. Researchers from Baptist Health South Florida, in Coral Gables, analyzed data from a 2012 national survey that included 26,000 people ages 18 and up. Some had cardiovascular disease – coronary artery disease, stroke, heart failure, heart rhythm problems and peripheral artery disease – and others didn’t. Among survey-takers who did not have cardiovascular disease, the scientists classified those with risk factors for it, including hypertension, diabetes, high cholesterol, smoking, and obesity. The scientists tallied how many people followed the recommended physical activity guidelines of more than 30 minutes of moderate to vigorous exercise at least five times a week. They found that about one-third of the cardiovascular disease patients did, as well as almost half of the group without cardiovascular disease. Medical expenses were also tallied for each person, including hospital stays, prescription drugs and medical supplies, outpatient visits to the doctor’s office and other medical appointments, emergency department visits​, dental visits, vision checks, and home health care help. Regular exercisers in both the cardiovascular disease group and the group without heart disease spent less on medical bills compared to people who didn’t meet the recommended exercise guidelines. The patients with heart disease lowered their health care costs an average of $2,500 a year if they exercised regularly. Those without heart disease and no more than one risk factor cut about $500 a year off their medical bills if they exercised. People who regularly exercised​ reduced their odds of ending up hospitalized or needing a trip to the emergency room, and cut down on the need for prescription drugs, the authors reported – good news for their health as well as their wallets. “Evidence for heart disease patients engaged in regular exercise is very compelling for reducing the risk of hospitalization, repeat heart attack, death and improvement in symptoms contributing to better quality of life,” said Nasir. The study is published in the Journal of the American Heart Association. Nasir and his colleagues said that when translated into national figures, the findings suggest that billions of dollars in national health care costs could be saved if more tried to exercise as often as recommendations call for. For example, he said if nearly two-thirds of the estimated 19 million people with cardiovascular disease do not achieve the recommended goals of exercise, that adds up to 12 million people. “Based on this, even if 10 percent of these individuals – 1.2 million people – achieved this target and hypothetically lowered their costs by $2,500, we estimate it can potentially lower national costs by $3 billion,” Nasir explained. The message to the general public and to cardiovascular patients is the same, the author said.